Bahrain International Exhibition Centre issued the following announcement on May 10. 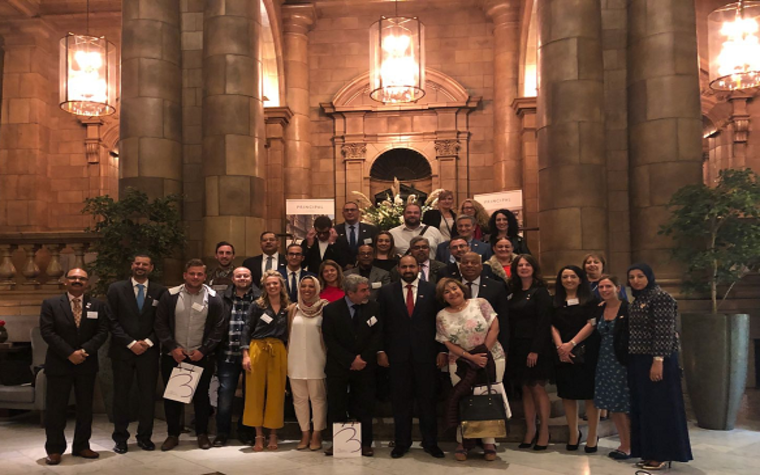 The Bahrain Tourism and Exhibitions Authority (BTEA) promoted the Kingdom of Bahrain as a leading tourist destination during a roadshow held in the United Kingdom. The roadshow kicked off in Manchester, followed by London and Windsor. The Kingdom's delegation was headed by BTEA officials and included representatives from Gulf Air, a number of hotels and travel agents. The delegation met with representatives and was able to promote the Kingdom’s touristic offerings with an aim to bring large-scale tourist groups to the Kingdom of Bahrain. “The Kingdom of Bahrain is a popular holiday destination for the British market with many varied offerings for families and leisure travellers. We aim to increase the number of visitors coming to the Kingdom, further contributing to the growth of the national economy,” said the Director of Tourism Marketing and Promotions at BTEA, Mr. Yousef Al Khan. “We are also working closely with our representative office in the United Kingdom to further support the growth and development of the Kingdom’s tourism sector,” he added. Holding meetings with renowned tour operators in the United Kingdom comes in line with the BTEA’s strategic outreach program to promote the tourism brand ‘Ours Yours’ aimed at showcasing the Kingdom of Bahrain as the ideal tourism destination to the regional and international markets and further promote the Kingdom’s touristic offering as a main contributor to the overall economic growth in line with the Economic Vision 2030.